This is really hard for us. Things just haven't worked out as we'd hoped. It's not you, it's us. I hope you aren't upset. 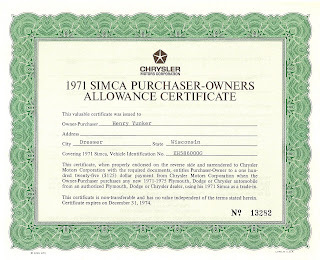 At any rate, here's $125 for your troubles and your car. 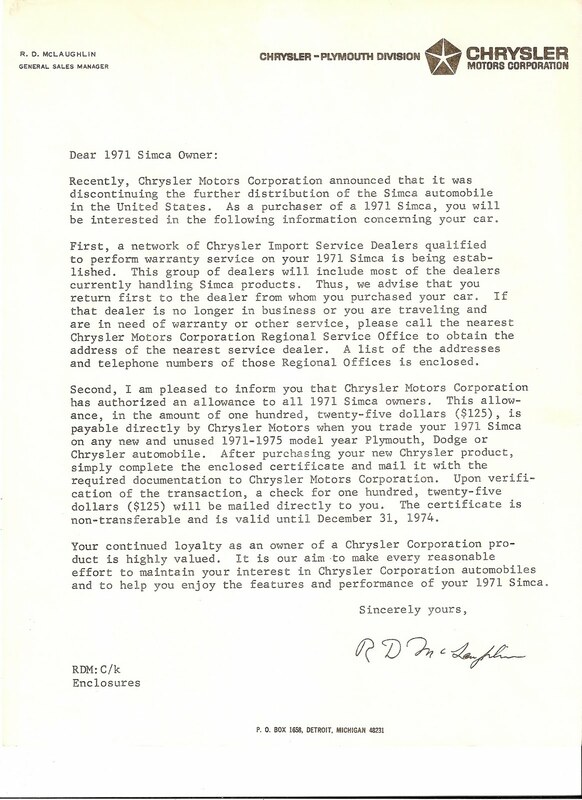 Please don't call us again...unless you want a real Chrysler. Well, it's not exactly what it says, but more or less this sums it up. 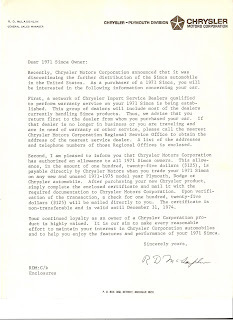 About 5 months after the original owner purchased his Eiffel Yellow '71 Simca Sedan, he received this letter. 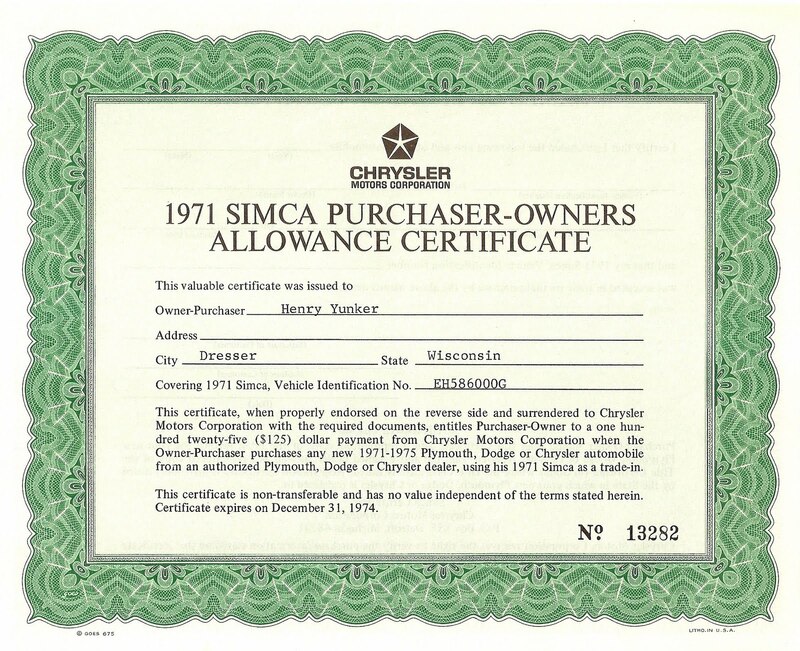 Although refused to cash out the $125 Mopar gift card and held on to his car, Chrysler ditched Simca like a bad habit and destroyed all evidence of the relationship. Also included in this care package is a pamphlet on how to settle disputes with dealers. No, really.